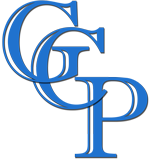 Garden City Plastics | Equipment & Supply Co., Inc. Welcome to Garden City Plastics Equipment. We specialize in buying, selling, and brokering premium, pre-owned plastic processing equipment, including blow molding and injection molding machines, as well as auxiliary equipment, such as dryers, chillers, granulators, temperature controllers, and much more. We purchase, sell, and consign first-class, pre-owned equipment for the plastics industry, at extremely competitive prices. Garden City Plastics' goal is to provide you with the best possible equipment and service, and to that end we power up, test, and repair all equipment before it ships to you. Your equipment will be ready to hook up and run the day it arrives at your facility. Our inventory is continually being updated, and we have many items not yet listed. If you don't find what you need here, please send us an e-mail or give us a call at (816) 862-8703. We look forward to helping you. We are your source for finding the equipment, molds, components, and tooling to keep your operation running smoothly and your company successful.